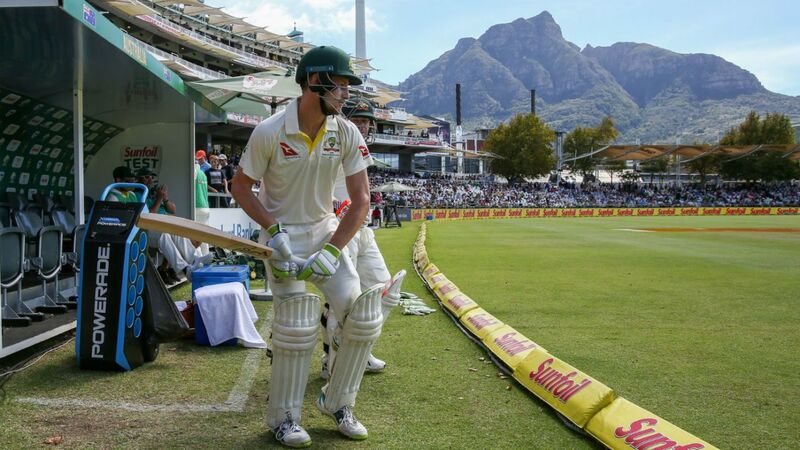 Before Australia were plunged into crisis, Bancroft top scored in Australias first innings with 77 out of 255. It was enough to earn him three votes (two from the players and one from the umpires/media) as part of the awards voting process. It was during South Africas second innings, as they built on the lead on the third afternoon, that the now infamous footage of Bancroft using a piece of yellow sandpaper on the ball was beamed around the world on live television, with pictures later showing him trying to hide it down his trousers. Before his comeback, he wrote a letter to himself where he said he had come to terms with how people could perceive him after the events of Newlands. "Many people will judge you as a cheat, but that is OK," Bancroft wrote. "Always love and respect everyone. You will love those people because you forgive them. Just like youre going to forgive yourself... You know you cannot say sorry enough, but actually it is time you allow your cricket to be about what you have learnt and use this opportunity to make a great impact."